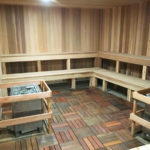 Cincinnati’s NFL team, the Bengals, turned to Stanton Millworks when the Paul Brown Stadium Sauna needed renovation. The project was a pretty straightforward demo and replace. The team pulled out all of the existing cedar siding, ceiling, floor, and benches. During demolition, a noticeable amount of rotting was discovered so the team needed to replace some of the existing framing. With this in mind, we made sure to apply a moisture and heat barrier over the walls. Once the barrier was in place, clear western red cedar was placed on the walls and ceiling. 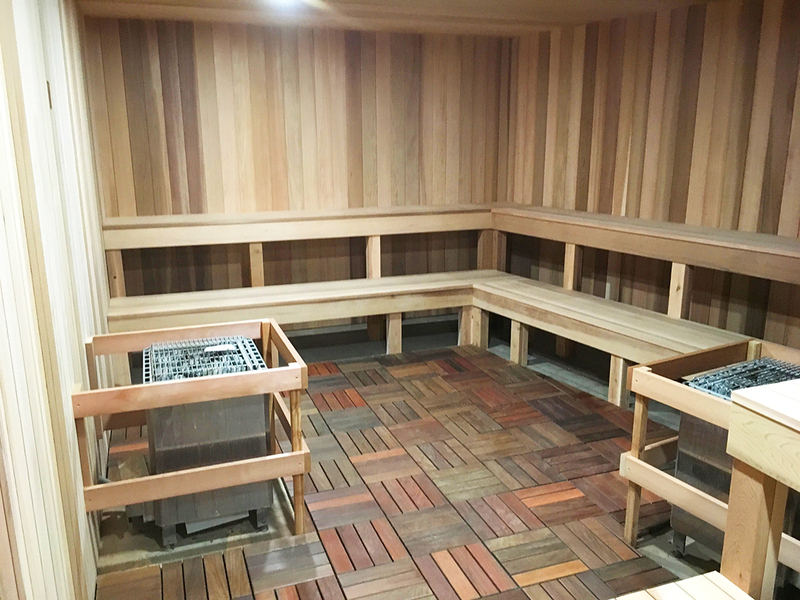 The benches were made from the same clear western red cedar. Additionally, the existing door was refinished to look like new. The end product is a refreshed, relaxing, restorative space for the players to recover from training or games. Here’s hoping it works well enough to bring home a Super Bowl win in the near future!